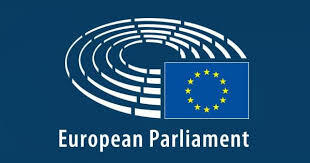 On 13th March, the European Parliament approved the European Accessibility Act to make key commercial products and services more accessible for people living with a disability. The new directive sets out the common standards that need to be achieved, and outlines what needs to become more accessible, such as ticketing machines, ATMs, PCS, smartphones, banking services, eReaders and eBooks, eCommerce services and transport services. However, the EAA does not set out how the improvements to these products and services should be achieved, which is important to the suppliers involved. What about the ‘built environment’? Accessibility requirements regarding where a service is provided currently vary across EU countries and the directive encourages member states to align their future requirements as far as possible. Agreement on and use of similar environmental measures will expand the locations new accessible services can be delivered. Importantly, this new directive gives businesses the opportunity to genuinely innovate, and then make their accessible products and services available throughout Europe and abroad. Furthermore, consumers should benefit from greater choice and, potentially, cost-savings. Micro-enterprises are exempt from the new rules, however they are expected to embrace the new accessibility requirements in the manufacture and distribution of their products and services. All of this will have a hugely positive impact on the 80 million disabled people in the EU, and will also benefit many other groups such as older people. The new rules will improve fairness and inclusivity in Europe and the ultimate aim is for anyone who has physically limitations to have access to exactly the same products and services as their able-bodied counterparts. The Council has to formally approve the draft directive and then EU Member States will have 3 years to introduce the new provisions into law (and 6 years to apply them). We look forward to following the journey of this legislation and seeing the impact it has on Europe. According to the RNIB "Every day 250 people start to lose their sight in the UK. As of 2015, more than two million people in the UK are living with sight loss that is severe enough to have a significant impact on their daily lives, such as not being able to drive". Clearly, as we get older, one of the main conditions that can affect us is problems with eye health. Sight loss can be frightening and depressing, particularly if combined with other age-related health conditions. In addition, seniors can find their social circle shrinking, meaning loneliness can compound the physical problems and mental health issues. When a person is initially diagnosed with a visual impairment, they might feel afraid about how this will affect their day-to-day life. If they still work, they might wonder how they will be able to continue doing their job. If they are retired, they may feel travelling will become an issue and that they might become trapped at home. Obviously, technology can provide a wide range of solutions to help people with a visual impairment get online, connect to family and friends, and continue to live their everyday life as naturally as possible. But what if, in addition to their diminishing sight, they don’t feel confident with technology? If you work with or support people recently diagnosed with sight loss, we can help you assess their needs and capabilities, and begin exploring their technology options. Download our simple Questionnaire with 10 questions to ask an individual recently diagnosed with a visual impairment. Sight loss affects people of all ages, but as we get older we are increasingly likely to experience sight loss. Almost 1.5 million people aged 65-84, and a further 580,000 aged 85 and over, are living with sight loss in the UK. Accessibility is at the heart of everything we do. We'll be sharing advice for individuals, organisations and professionals on working, learning and living with sight loss. Our products are developed by and for people with sight loss. We don't just talk about accessibility - we live and work it every day.